The FCC has released a five-step plan [PDF] that will bring us closer to adding modern capabilities to the United States' aging 911 emergency systems. The update, code-named Next Gen 911 (NG911) and announced last November, will accept SOS signals in the form of text and picture messages, as well as streaming video, with location data captured by a mobile phone's GPS. FCC Chairman Julius Genachowski groused to The Hill that the government response to implementing NG911 has been slow, adding that commercial airlines have the capability to next passengers about flight delays, but people caught in emergency situations can't text 911 for help. Develop location accuracy mechanisms for NG-911: The FCC has "launched development of a framework for providing automatic location information in the NG911 environment," meaning they're currently talking about creating a framework using mobile phones' GPS that will eventually be realized. Enable consumers to send text, photos, and videos to 911 operators: Next month, the FCC may send out a notice that will answer questions about NG911. This notice will focus on the bandwidth infrastructure required for PSAPs (Public Safety Answering Points) to use NG911. In the very least, the FCC hopes to speed up NG911's capability to accept text messages, with the other multimedia features coming soon thereafter. Facilitate the completion and implementation of NG911 technical standards: Here's where it gets nerdy. The FCC will create technical standards not only for the aforementioned PSAPs, but for the hardware and software on mobile devices. That means mobile phones will need to adhere to these guidelines when building new phones, and overhaul existing ones. 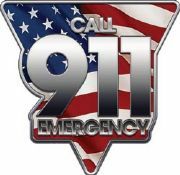 The most interesting point to keep an eye on, as The Examiner mentioned, is whether cellphones without data packages -- required for smartphones -- will be able to stream video and send picture messages to NG911 like cellphones are now required to make phone calls to 911, contract or not. Develop a NG911 governance framework: This step will figure out who will oversee NG911. "No single governing entity has jurisdiction over NG911," so the FCC will include "state 911 authorities, other Federal agencies, and other governing entities" to build a responsible, effective governing team. Develop an NG911 Funding Model: And here's where NG911 could sink or swim. The FCC's Public Safety and Homeland Security Bureau will generate a model of cost-effectiveness and present it to 911 authorities and Congress. With the U.S.'s current situation with debt, this funding model will have to be iron-clad in order to get past penny-pinchers and the same disagreeing heads that have created a deadlock around this service, which was recommended by the 9/11 Commission after the September 11, 2001 attacks. It's nice to hear that the FCC hasn't forgotten about NG911, which, if it makes it to fruition, will certainly add ease of use to contacting emergency professionals and speed up response to dangerous situations. However, the FCC's five steps document contains a lot of wishy-washy language and no set-in-stone deadlines, so it's totally up in the air whether we'll see this much-needed technological improvement to 911 anytime soon.